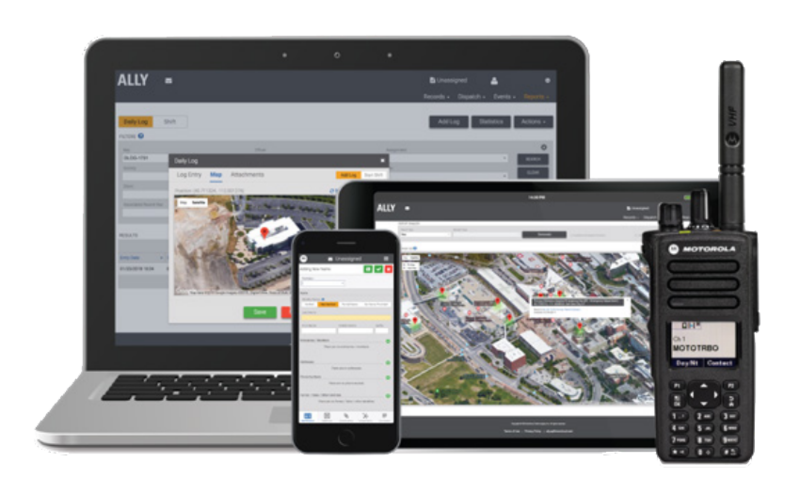 Ally is a web-based, Software-as-a-Service (Saas) platform designed to provide private security organizations with effective, mobile, easy-to-use security guard software for incident management and dispatch. With little-to-no previous experience or training required and flexible, subscription-based pricing, Ally gives personnel the comprehensive security reporting software they need to respond to calls and manage data efficiently. Click here to find out more about Ally - Solutions For Private Security. Avigilon, a Motorola Solutions company, designs, develops, and manufactures solutions in video analytics, network video management software and hardware, surveillance cameras, and access control. Avigilon’s solutions have been installed at thousands of customer sites, including school campuses, transportation systems, healthcare centers, public venues, critical infrastructure, prisons, factories, casinos, airports, financial institutions, government facilities, and retailers. Avigilon is proud to be a North American manufacturer of trusted security solutions, with Canadian and American expertise and globally sourced materials. Our state-of-the-art facilities in Richmond, British Columbia, and Plano, Texas, ensure quality control and efficiency throughout the manufacturing process. By manufacturing in North America, we are better able to control every aspect of the process, while continually enhancing the customer’s experience. When combined with Avigilon Control Center (ACC)™ software, our broad range of megapixel cameras deliver high-quality imaging with maximum coverage. Avigilon’s High Definition Stream Management (HDSM)™ technology preserves video image integrity while intelligently managing bandwidth. Find scene changes, missing objects and events with Avigilon’s ACC™ software. It gives you full control over video playback, so you can quickly retrieve evidence. ACC software works with your existing access control, intercom, external alarms, and POS systems. And Avigilon’s cameras work with other VMS platforms. You can add Avigilon security cameras with almost no increase in bandwidth, servers, or hardware. They scale with you, so you can invest in what matters most to your business. Click here to find out more about Avigilon Surveillance Camera Solutions. Get all the benefits of WAVE with a rugged two-way radio. Purpose-built for business, everything about the WAVE two-way radio is smart and intentional. Whether it’s location tracking and Wi-Fi calling, or the rugged design without an attention-diverting screen. Add accessories that fit the way you work. Find out more about the amazing Motorola TLK 100 WAVE radio.